ShopRite at 1077 Mantua Pike in West Deptford, New Jersey. If you live in Greater Philadelphia and you want to win the lottery, the place to buy your ticket, at the moment, is apparently ShopRite. 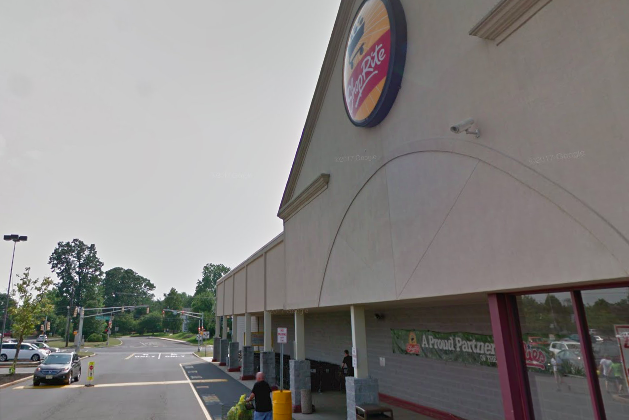 Last Saturday, a $1 million Powerball ticket was sold at the ShopRite of Roxborough on Ridge Avenue. Less than a week later, another $1 million Powerball ticket was sold at a ShopRite in West Deptford, New Jersey Lottery officials revealed Thursday. The winning ticket — matching the white balls 10, 14, 50, 53 and 63 in Wednesday's drawing — was purchased at the ShopRite at 1077 Mantua Pike in Gloucester County. Five other tickets matched four of those numbers for $50,000 prizes elsewhere in New Jersey. The person who holds the winning ticket will not be identified until the prize is claimed and the ticket is validated. The current Powerball jackpot stands at $625 million ahead of the next drawing on Saturday.